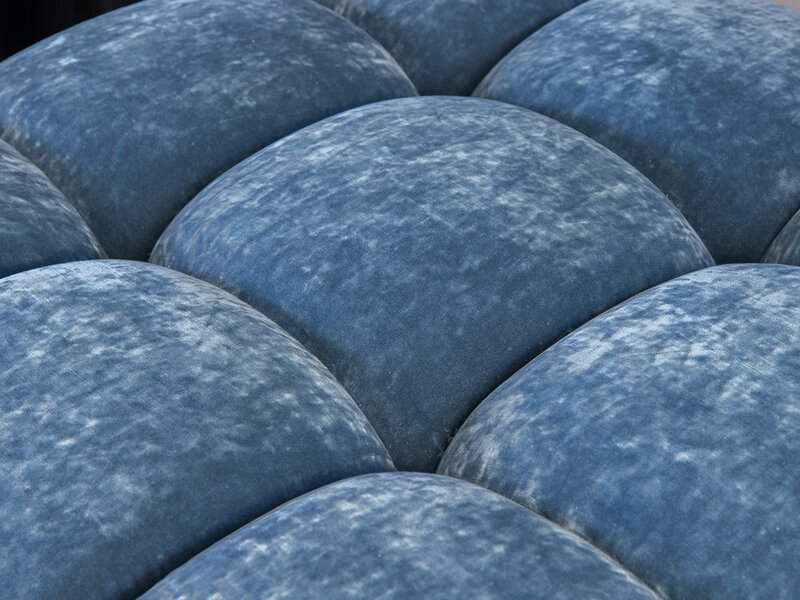 OAM Design Studio presents the Modular Tufted Ottoman. 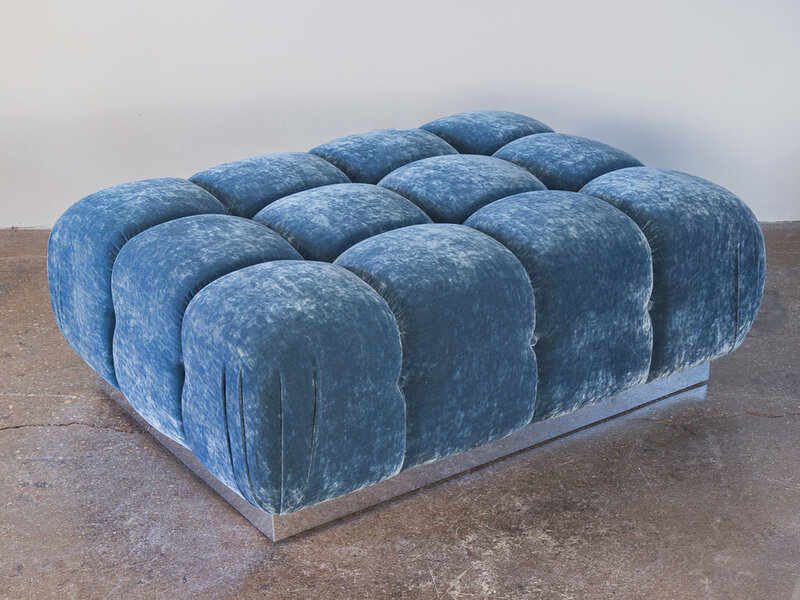 A luxurious form crafted with deep tufted cushions for supreme comfort. 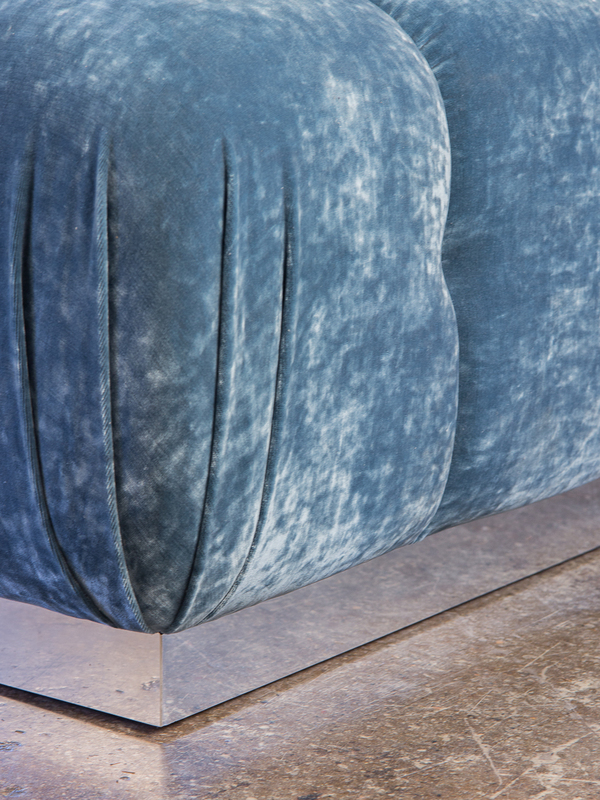 Our design is inspired by the opulence of 1970s Italian and American interiors. 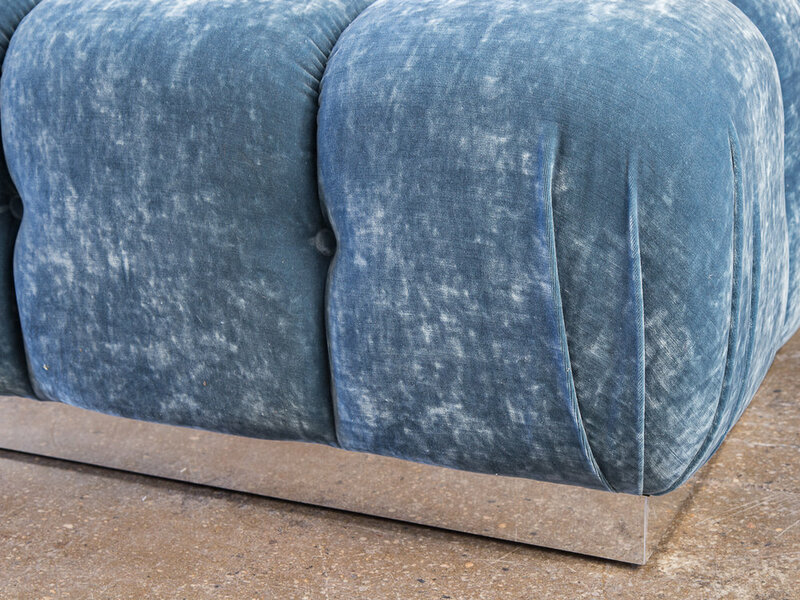 This example has a lustrous, light blue textured velvet upholstery and chrome base. 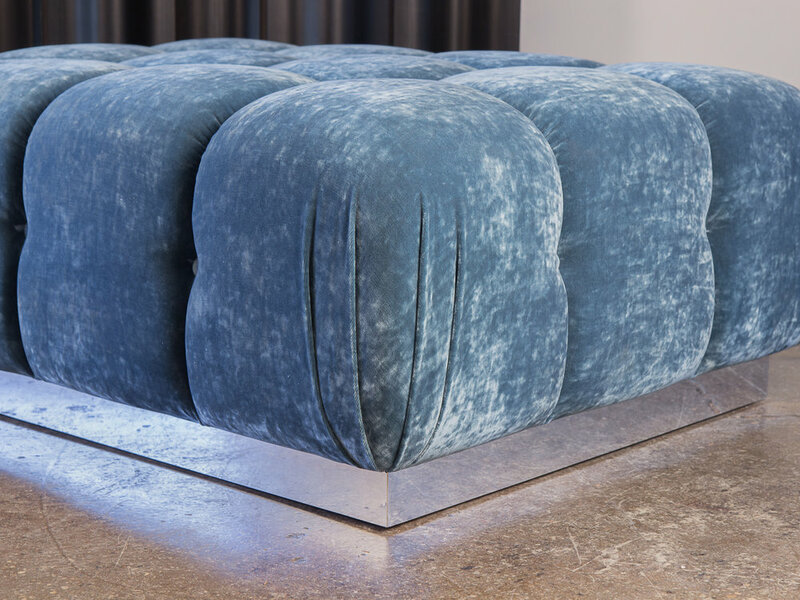 This ottoman can be created to your specifications. 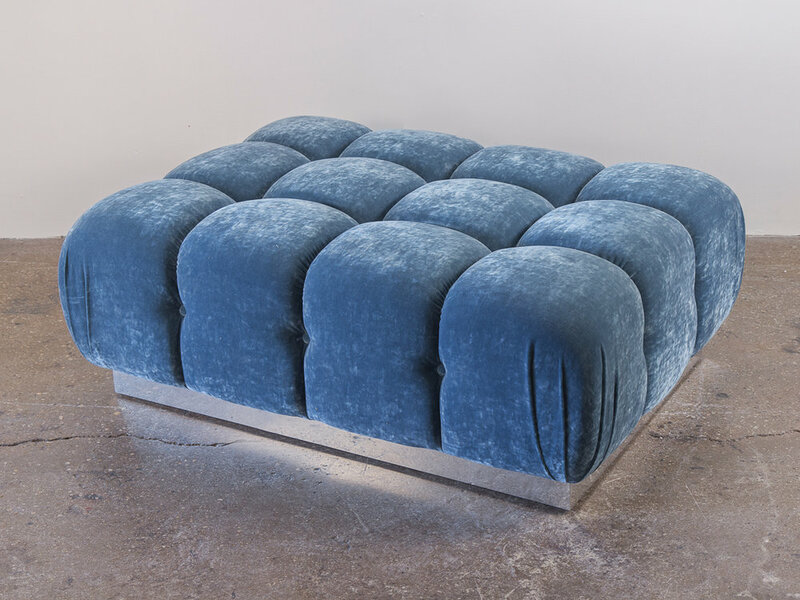 Built with high-density, quality foam for a sculpted, comfortably plush seating experience. Units can be enjoyed collectively or independently, for infinite configurations. 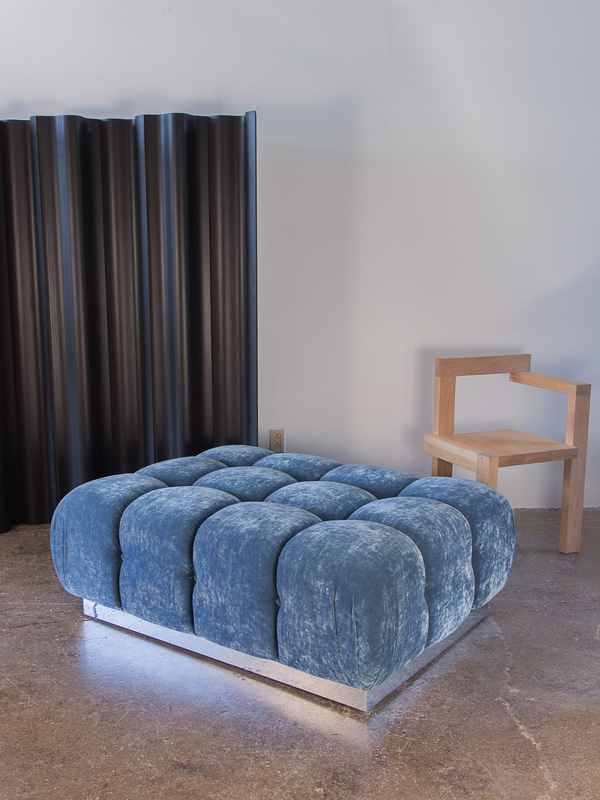 Ottoman size, base finish, additional hardware, and feet can all be customized upon request. Handcrafted from hardwood and steel locally in New York City. All orders are COM, price is upon request.